A few simple ingredients, a little love, and you’ve got a classic Italian recipe for Linguine and Clams! 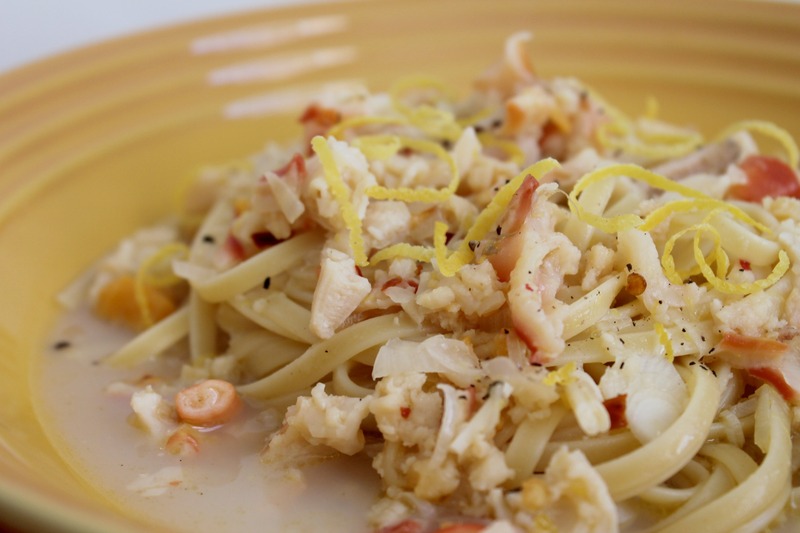 Linguine and Clams, a traditional Italian recipe that we love to order out when at restaurants. Better yet, my husband makes the best version of it at work. Once he starts simmering that sauce, my tastebuds perk up and I swing by his station at the restaurant to have a taste. The ingredients are basic and you’ll probably have them all in your pantry, except maybe the clams (we used these from Clearwater) and you can swing by the store to buy a few cans or order some fresh ones! Today, we’ve adapted my husband’s restaurant version of the classic recipe, scaling it down to a smaller batch and making it a much simpler process! It comes together with just a couple of ingredients you probably already have in your pantry and results in a fabulous meal for two. Maybe make this on Valentine’s day for your loved one? This recipe will have your guests thinking they're at an Italian restaurant! 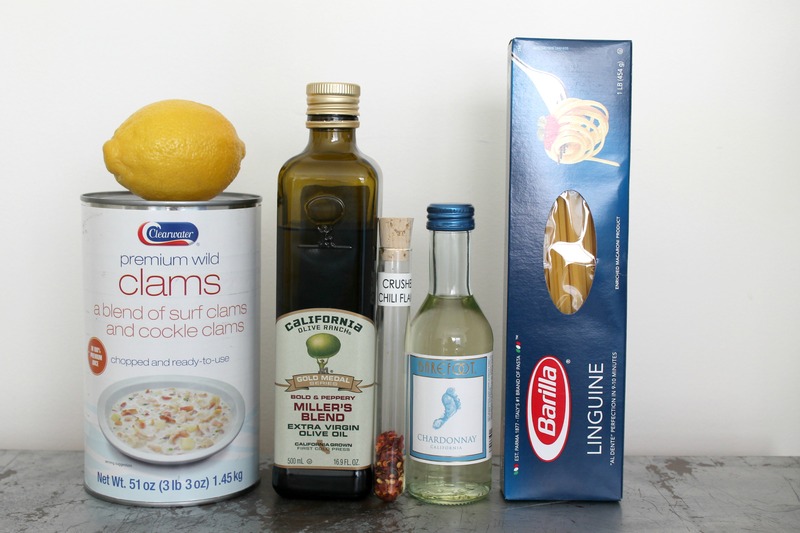 The light flavors of lemon, wine, and clams are showcased, so choose your ingredients wisely! In a large saucepan, heat olive oil over medium heat and sauté garlic and onions for 5 minutes. Add clam juice, lemon juice and zest, and white wine. Simmer for 10 minutes over medium high heat. Season with red pepper flakes (this recipe rarely needs salt) and add chopped clams. Cook until clams are jet heated through, no longer as to avoid toughening them. 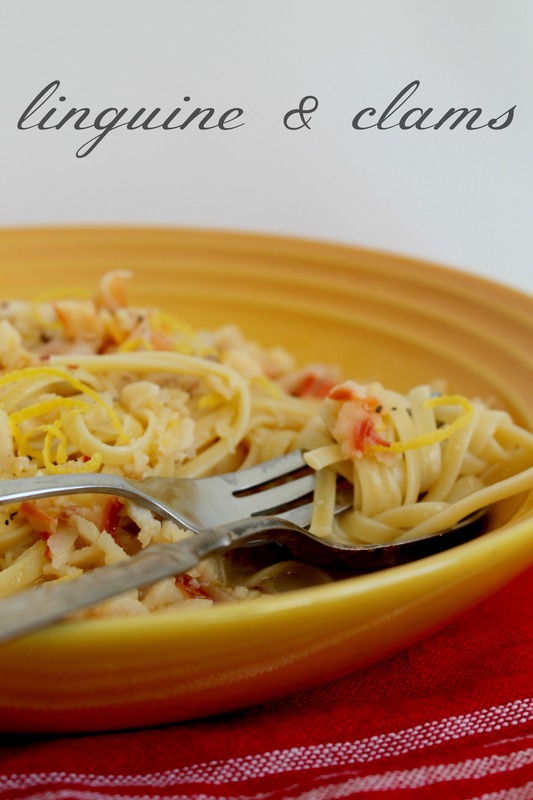 Toss cooked pasta in the light sauce and serve piping hot with parmesan cheese. Buon appetito! What if I want to make this for a crowd? Just multiply the ingredients or scale some of it back a little? This is definitely a drool worthy dish I swear I can already taste it, amazing!